But that doesn’t mean you need to abandon or focus less on other, more familiar marketing channels. In fact, social media’s biggest marketing strength comes from its ability to push consumers through to other, more traditional media—and vice versa. Post direct mail campaigns directly to social media pages and more. When used together, both channels can make your current marketing more effective while delivering valuable insights for future campaigns. Not all consumers are created equal. Their needs, wants, and behaviors are as varied as their lifestyles and personalities. They communicate and connect with brands both digitally and traditionally – sometimes simultaneously. Build your strategy around questions like: Which channels do my audience occupy? What kind of information are they looking for? What products or services do they want? Read More: Find your way through the sea of social media with our Network Navigator infographic. Through the decision-making process, your consumer will likely toggle between several different channels on more than one occasion. Successful brands streamline the customer journey across all channels to achieve an end-to-end journey for every sale. They also take the time to test different promotion mixes to see what brings you the greatest ROI. In the Fusion Marketing Bible, author Lon Safko notes that companies like IBM are reporting that prospects respond at a 3-5% rate on average to integrated marketing campaigns, an increase of 73% over standard email campaigns. Businesses such as TransUnion have learned that the missing component to their ROI was the integration of social media, earning $2.5 million in savings in less than five months while spending just $50K. How much are you spending to communicate your message? Look closely at the costs associated with customer acquisition, as well as return on investments biannually and after each campaign closeout. From there, determine the overall effectiveness of your efforts. Try not to stretch your social media presence too thin, too fast. Hone in on the “Big Three” for social media and content marketing purposes: blogging, Twitter and either Facebook or LinkedIn. Once you’re well-established on the Big 3 platforms, start integrating your digital tools into your social media efforts. We’re talking SEO, SEM, CRM, email, etc. 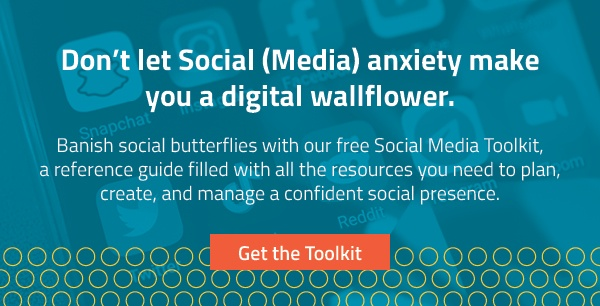 Infusing the analytical and technical power of digital tools into your social media will give it a supercharged boost that will elevate your efforts to the next level across all channels. Traditional media delivers a single message through one-way communication to a diverse and uncontrolled audience. 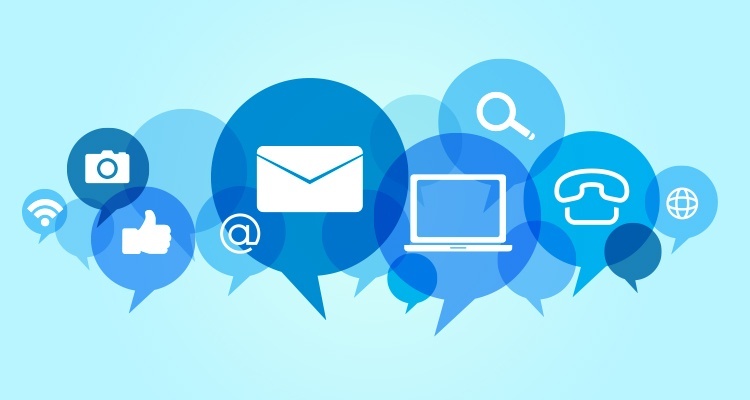 Social media delivers several messages through two-way communication to a targeted audience. Recruiting first-time buyers today requires a number of touch points. Be on the lookout for opportunities to link these two forms of communication, fusing their strengths together to amplify your message even further. Consumers often view online shopping as a research tool before making an in-store purchase. Supplement your messaging efforts with targeted campaigns that use engaging, targeted content to drive sales in stores. Especially if you’re just getting started on social media, use your established channels (like print or radio) to promote your social channels. Invite customers to join the conversation with exclusive offers or contests, with access codes available only through traditional channels. Give a positive Facebook review more mileage by publishing it somewhere on your website or repurposing it in headlines or body copy. It will give the customer a boost and demonstrate your social listening skills. While traditional media succeeds in mass reach, it offers a limited window for communicating your message—basically whatever you can fit into the window of a radio spot, TV commercial or newspaper placement. Shoppers may become aware of your product through an older mode of communication. but in today’s online recommendation culture, social media remains second only to family, friends, and financial incentives as a motivator of purchase. Extend your story beyond the traditional frameworks through serialized content on your social media channels to keep your consumers engaged and intrigued. In the Fusion Marketing Bible, Safko cites an instance in which a high-profile, Fortune 500 company acquired over 19 million friends without evidence of monetization or strategy. While your foray into integrated marketing will likely not be on that scale, it serves as a reminder that whatever steps you take will only be as effective as the strategy behind them. Want to make sure your Social Media strategy is clicking with consumers? Download our FREE Social Media Toolkit for some helpful tips on ensuring your efforts deliver the ROI you deserve. Editor’s note: This post was originally published in February 2017. It has been updated for freshness, clarity, and comprehensiveness.